Mediacorp’s flagship English publication, TODAY Online, apologised yesterday after facing a “legal challenge” purportedly launched by the National University of Singapore (NUS). NUS later confirmed that it sought legal advice over an article published by TODAY Online, entitled “Opaque policies, fixation with KPIs, rankings: Why arts and humanities academics quit NUS, NTU”, since it finds that the piece “affected its reputation”. 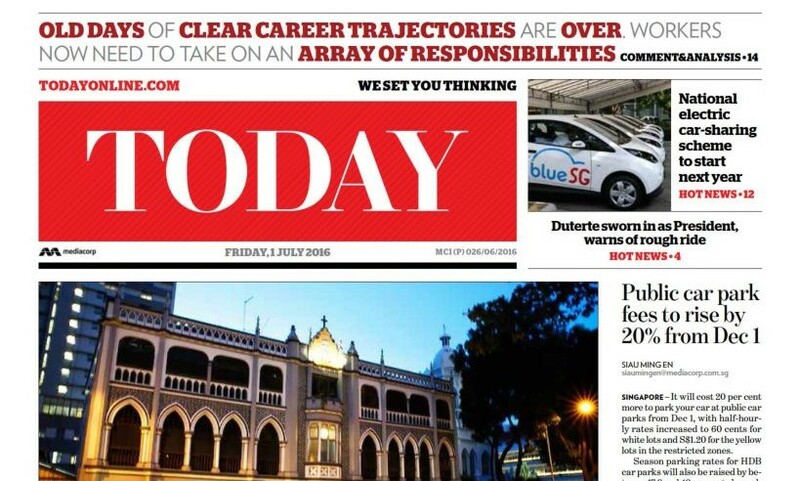 In an attempt to explain the high turnover rate of academics at NUS and NTU, the TODAY article had interviewed about 10 academics who have either left or are in the process of leaving the top local schools. The article, published on 6 Jan, was taken down from the website on 10 Jan. Although five of the 10 academics who were quoted publicly asserted that they stand by the comments they made to the publication, TODAY has apologised and has published a statement by NUS on their website. TODAY’s apology and the decision to publish NUS’ statement on its platform could be part of a settlement deal reached by both parties, instead of taking the matter to the courts. “TODAY acknowledges that the article entitled “Opaque policies, fixation with KPIs, rankings: Why arts and humanities academics quit NUS, NTU” published on Jan 6, 2019 did not adequately represent the views and position of NUS on the matters reported and included inaccuracies. “The article reported that NUS and the provost did not respond to the criticisms of the provost by former employees. TODAY did not share these criticisms with NUS or the provost, nor seek their response on them. “The article conveyed the impression that NUS has relentlessly pursued global rankings at the expense of the quality of teaching and welfare of our academic staff, and is arbitrary and irrational in the way it carries out promotion and tenure, which has led to academics from a particular faculty resigning. These allegations are untrue, and were repeated on another Mediacorp platform.